Minnesota, the Gopher State and the Land of 10000 Lakes, is one of the largest and mildly dense states in terms of area and population respectively. 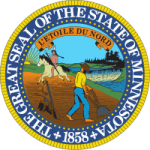 Known for its twin cities and some of the oldest rocks, the state gained its statehood in 1858 and became the 32nd state in the US Constitution. Minnesota has a large number of state parks and forests, which attracts huge percentage of tourists in every season. Minnesota has a diverse and highly developed economy, which is which is shoved forward by many sectors of the industry. The Minnesota’s health care and agricultural industry are some of the top contributors. With a low unemployment rate of 6.9 by the Sept 2011, the medical and health service network has a major role in the employment process of the state also. What are the responsibilities and role of Minnesota Board of Nursing? Minnesota Board of Nursing has established high standards of nursing and medical services in the state, and the state is highly healthy in terms of death rate as well as illness management. Minnesota Board of Nursing is open to all the users including the public users, licensees as well as applicants. You can avail the use of the online archives to check the performance of the various nursing programs in the state as well as download any available online form. The Board’s objective is to ensure healthy and safe nursing practice to achieve higher levels of medical services and nurse training. The Board is responsible for licensing and authorization of various training programs in the state. The Board members are elected by the Governor of the State Legislative Assembly. The maintenance of standards for service and reviewing the performance or practice of various professional in the state is also one of the Board’s most crucial responsibilities. What are the services and information archives provided by the Minnesota Board of Nursing? Minnesota Board of Nursing maintains and keeps record of each nursing program as well as each professional working or non-working in the state. The Board also maintains the abuse registry, which is the complaint record or book fro any complaint that is filed against any nursing professional of the state. The Board provide services such as online license renewal to DHS criminal background studies.